Justin qualified from Birmingham University in 2003, along with Sarah Watt. He worked in General Practice in the midlands before joining us in 2010. He also works at a private practice in Birmingham. 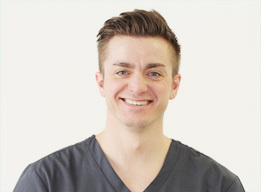 Justin enjoys all aspects of Dentistry with particular interests in aesthetic dentistry, implant placement and restoration, and tooth whitening. He has undertaken a variety of post graduate training, and enjoys keeping up to date with the latest dental innovations and techniques. Justin likes spending time with his family, cooking and socialising with friends. When he finds the time, he enjoys playing the guitar, cycling and running. He has completed the London Marathon, Birmingham half marathon, and the “Tough Mudder” in Kettering.